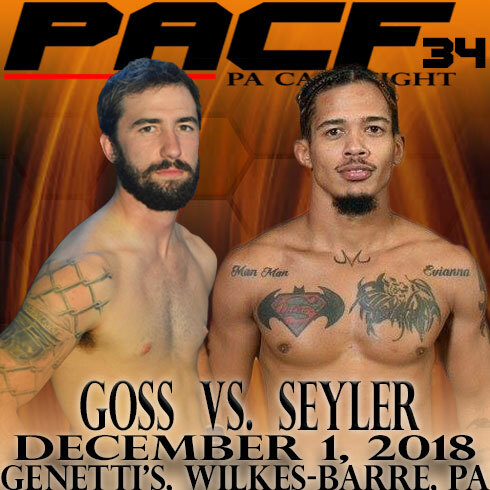 Pennsylvania’s longest running mixed martial arts promotion, PA Cage Fight, returns on Saturday, December 1 with PA Cage Fight 34. The combined pro and amateur MMA fight card will be held at Genetti’s Hotel in Wilkes-Barre and will be headlined by the return of one of the organization’s staple fighters, Jimmy Jordan. Jordan (7-4) meets Ricky Nuno (4-6) in a catchweight of 160-pounds. Jordan fought for PA Cage Fight five times as an amateur and six times as a pro, securing his legacy as the athlete who has most competed for the promotion. During his tenure with PA Cage Fight, Jordan also won and defended a the lightweight title. On fight night it will be little more than two years since Jordan last fought professionally. The 33-year old fighter is coming off a loss to Tim Dooling at XCC 26. His opponent, Nuno, is also looking to get back in the win column. “El Numero Uno” is coming off a loss to Allen Otto in February. A featherweight co-main event between Ethan Goss and Branden Seyler has been added to the card. 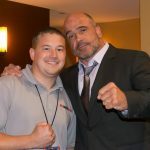 Coming off fight that ended in a split decision in favor of his opponent Andrew Salas at Bellator 186 at Penn State last year, Goss is looking to avoid back-to-back losses. “The plan was to wait until February, which is typically our largest event of the year but the amount of fighters that were reaching out to fight before years end was unprecedented,” said one of the organization’s promoters, Paul Matreselva Jr.
“This card has got it all. Jordan vs Nuno will have the fans on their feet the whole time, I can’t think of a more exciting fight. Goss and Seyler, both Bellator veterans, will be certain to put on a show. That fight is as even as it gets. I can’t wait to announce the other 12 fights, we have it all. For the first time we have five amateur title fights, from heavyweight to flyweight and two incredible female fights. “We get it. It’s December, that’s why we are keeping the prices affordable. There isn’t a regional MMA promotion in the world that starts ticker prices at $30. We are doing that,” Matreselva said.